Sometimes a little gift just falls into your lap. We present this recent addition to our Immigration collection: “U.S. 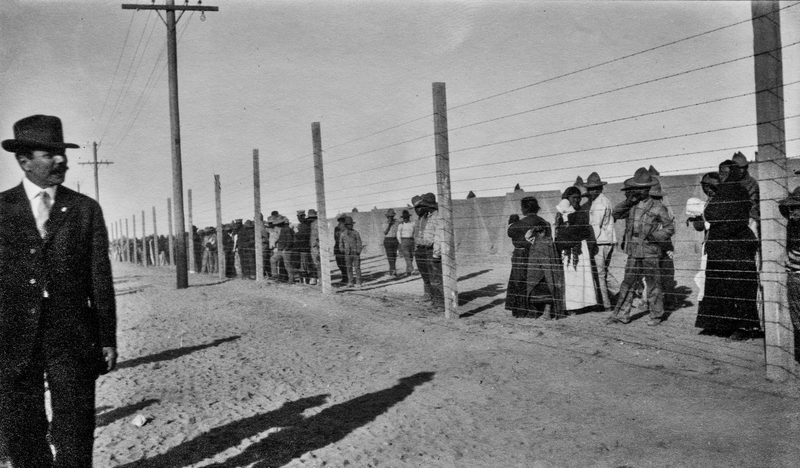 – Mexico Border“; c.1913. 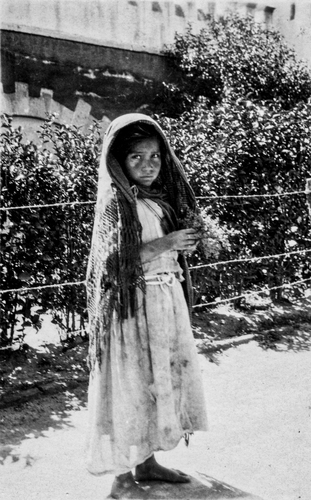 Migrant workers crossing the U.S.- Mexican border have been entering the U.S. for decades to do agricultural work which is seasonal and then return to Mexico. They have been employed in southern California, Texas, Florida and here on Long Island working in the potato fields before they were converted to vineyards. Many other states have also employed these migrant workers. TRADE WAR: HARLEY-DAVIDSON MOVES SOME PRODUCTION OUT OF THE U. S.
Say it ain’t so, Joe. 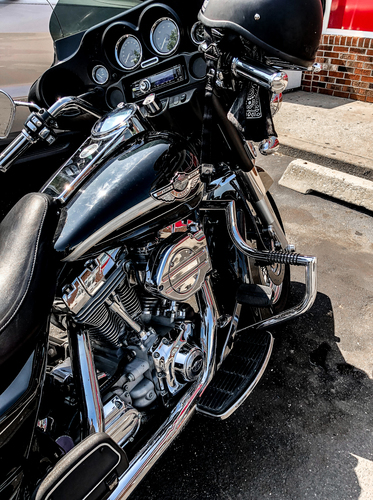 The result of the institution of new tariffs by the U. S. is forcing HARLEY-DAVIDSON to move some production to Europe. As this trade war deepens retaliatory measures by many nations is assured. The ultimate result will be higher prices for consumers and the loss of jobs. Welcome to a brand new world. These photos were taken at the Van Scoy Diamond Mine 500 at Pocono Raceway in Long Pond, Pennsylvania on June 12, 1983. Below we present a key as to who is driving what car in the images presented. The winner was Bobby Allison with an average speed of 128.636 mph. What is the significance, after all, of street photography if it does not provide society with a record of important moments captured for the historical record? Ahh, “the decisive moment” as Henri Cartier-Bresson would say. Well, here we may have just one of those significant, historical moments frozen in time by a talented street photographer. The locale is San Francisco in sight of the ferry terminal building: “San Francisco Ferry Terminal” (1914). The date has been changed on the tower to 1915, but we are still in 1914 as these two men are in conversation on the street. 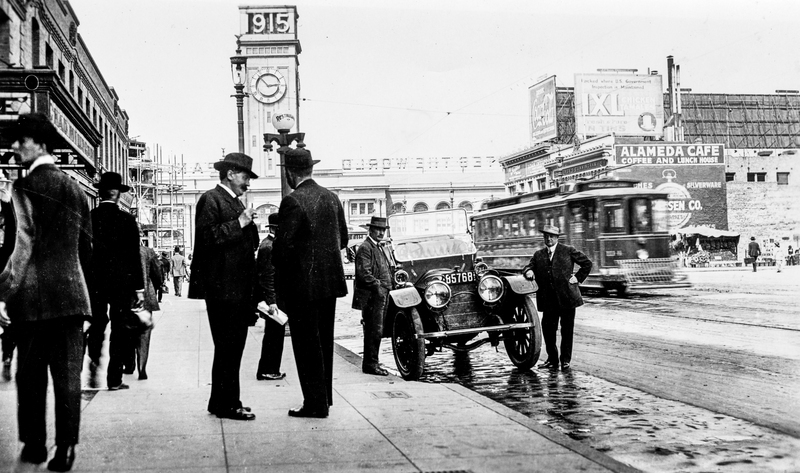 Other men stand at the ready next to an automobile. Perhaps one or both of these men are very important? Perhaps they are discussing news of the Great War unfolding in Europe? In any case, a fine example of street photography proving that if you are serious about this craft it is necessary to always have your camera at the ready. 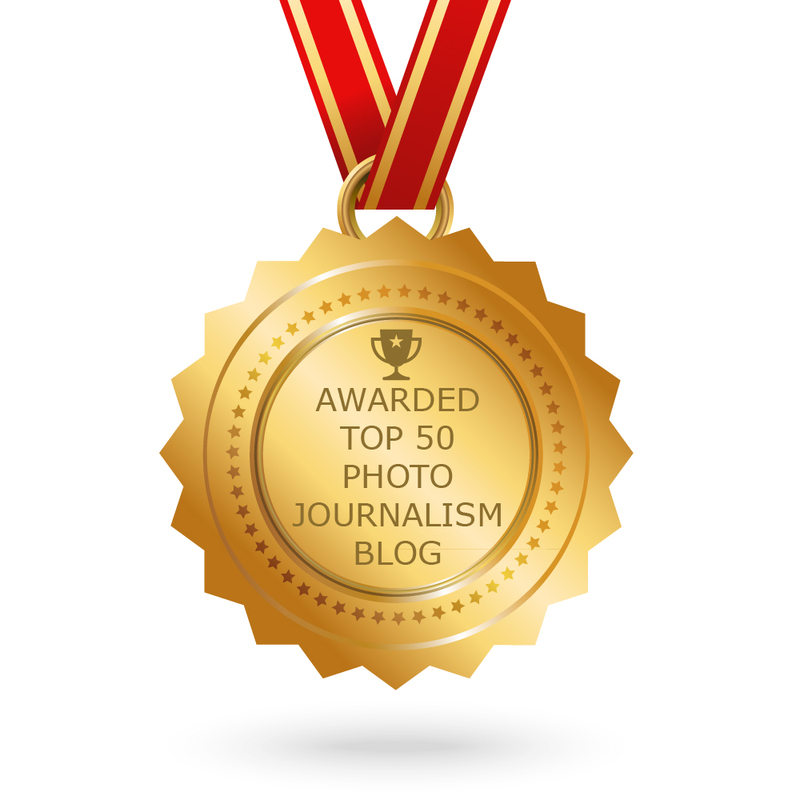 On another note, DPI is proud to announce that we have been listed at #40 of the top 50 photojournalism and blog sites by photojournalists for 2018 by Feedspot (https://blog.feedspot.com/photojournalism_blogs/). Many of us living in the United States today have come here for freedom from persecution of one sort or another or our ancestors made the journey in the past for the same reason. Sometimes legally, sometimes not. While it is true that a country has to maintain control of its borders, walls, barbed wire and detention camps are not what the United States is about. Those people seeking asylum at our southern border are refugees, considered to be stateless under International Law. A county’s legal system does not apply to refugees in the same way as it would to those who have citizenship or who are legal residents. LONG SHADOWS. THIS COULD WORK!! When we take a photograph we are aware of the position of the sun and the subject so as not to create shadows which could ruin an otherwise fine image. Sometimes shadows can work to our advantage. Case in point is “Denmark: Long Shadows“; October 1939. Why? Because in this case the shadows add a sense of mystery to an otherwise sterile image. Moreover, I would argue in extrapolating a bit further is that the photo is incorporating the specter of the Nazi invasion in April 1940. Somehow these long shadows have become a testimony to the occupation which awaits the Danes. Hindsight is 20/20. Could the photographer have possibly imagined what was to come? Yet Poland had just been invaded a month earlier. 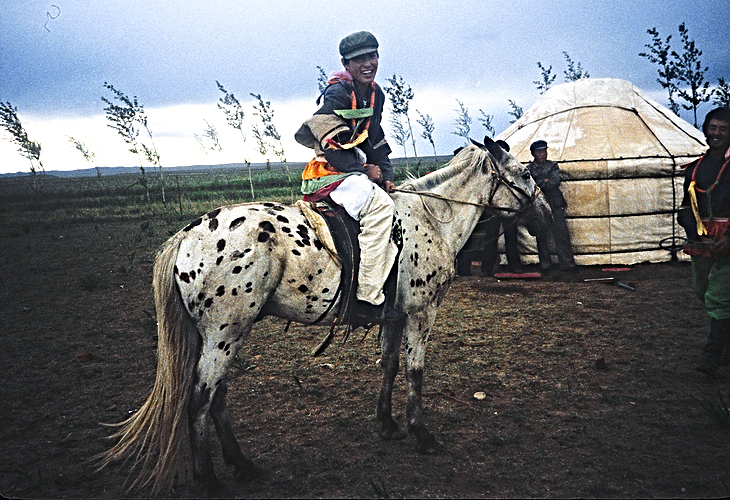 Our younger readers of this blog may have never heard of the film The Sand Pebbles (1966) starring Steve McQueen. As a fan of McQueen I watched this film many times decades ago. McQueen plays a U. S. Navy seaman aboard the U.S.S. San Pablo, a gunboat on a rescue mission on the Yangtze River in war torn China in 1926. One of the most dramatic scenes in the film is when the San Pablo tries to run the Chinese blockade on the river. 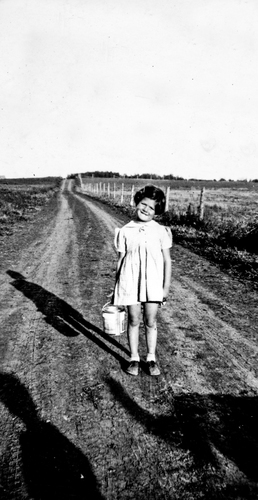 This lead photo, “H.M.S. 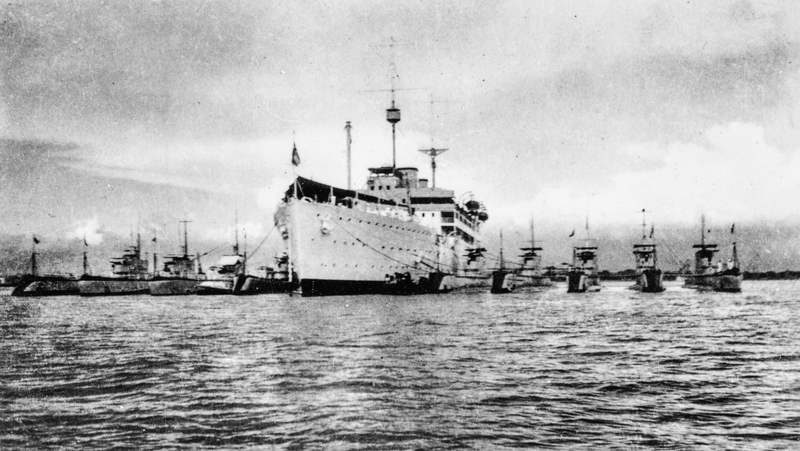 Medway in Tsingtao c.1931“. is the spittingi image of that scene in the film. 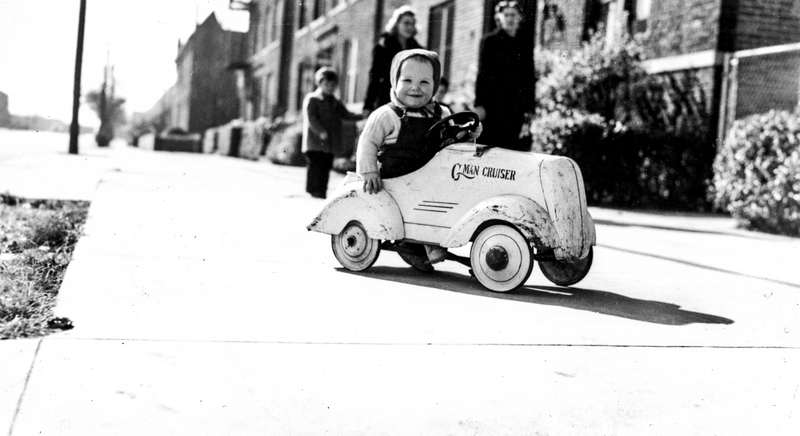 Go ahead and laugh if you want to, but an original 1936 G-Man Cruiser pedal car recently sold at auction for $11,000! 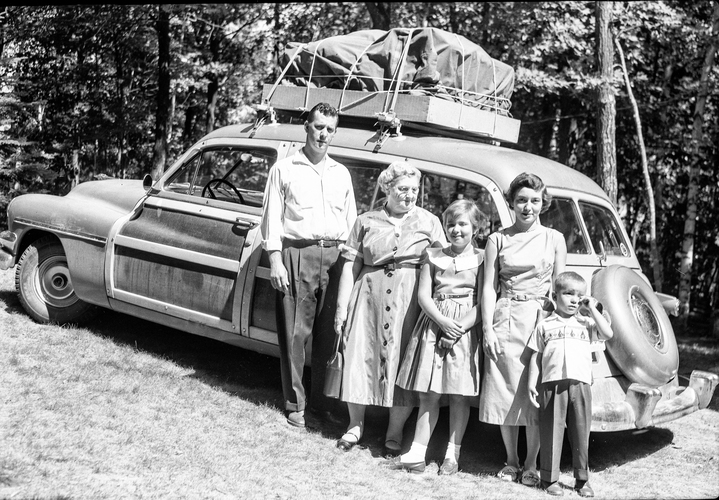 Our “The G-Man Cruiser“; U. S. c.1942 shows more wear and tear, probably as a hand me down from an older sibling. Still, if you had kept yours all these years you would have been better off for it. Don’t throw anything away. Ever!